The new Archer 2™ OS version 1.3.5 contains a new app designed to optimize the Archer 2’s touchscreen performance for each user’s individual situation. Simply called Touch, this app allows you to select the setting that best matches the way in which you are interacting with the Archer 2’s touchscreen. There are different settings for when you are using your finger vs. a stylus, or when you want a lighter touch vs. a more deliberate touch. These settings allow the Archer 2 to accommodate for your particular use in order to provide you with optimal touchscreen performance. I’d like to give you a quick rundown of how to use this app, along with a few tips for getting the most out of your Archer 2’s capacitive touchscreen. To access this app, tap on Settings, then System, and then the Touch icon, shown below. Within the app, you can see a list of what we call Touch Profiles, each displaying a brief description of the scenario they work best in. Here you can see that Stylus 10 offers slightly reduced stylus sensitivity, so it is the optimal setting for when you are using a stylus and when you don’t want the touchscreen to be too “touchy.” If you tend to switch between using your finger and a stylus with your touchscreen, we recommend selecting the Stylus 10 profile, as this will give you fairly consistent performance in either scenario. The name of each profile indicates whether it works best when used with a fingertip or with a stylus. The difference here is that the Finger profiles include greater “edge compensation,” which helps in cases where your software may have icons that are very near to the edges of the display, and which may be difficult to reach when using your fingertip. This edge compensation assists in “pulling” that touch of your finger closer to the edge of the display, in order to access those outlying icons. The number in each profile name indicates how sensitive the touchscreen will be. The higher the number, the greater the touchscreen sensitivity. For example, in the Finger 20 profile, the touchscreen will be more sensitive than it will be in the Finger 10 profile, meaning that you can use a lighter touch when using the Finger 20 profile, and you will need a more deliberate touch with the Finger 10 profile. To select a profile, scroll through each one and select the profile that best describes how you use the Archer 2’s touchscreen. If possible, we recommend using your finger with the touchscreen, rather than a stylus. 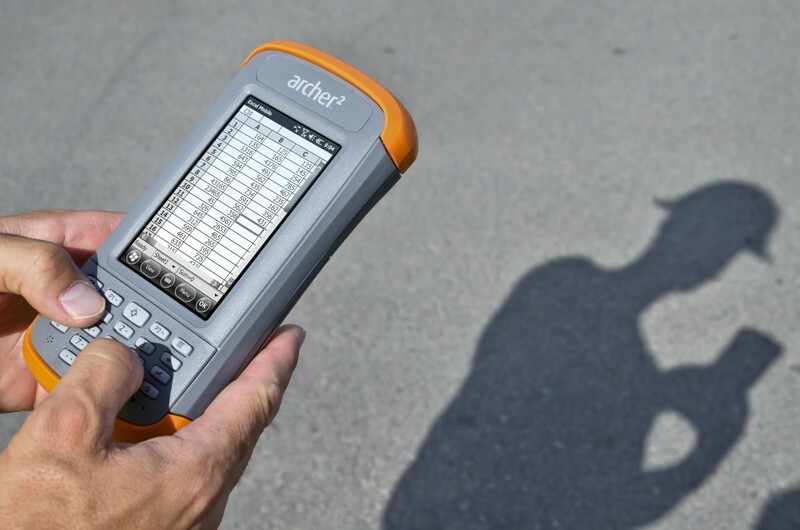 The Archer 2’s touchscreen was designed to work best with a finger’s touch, and you will have the best results this way. If using your finger with the touchscreen, we recommend using the Finger 10 profile for best results. Styluses work best when used perpendicularly to the screen, rather than at an angle. If your software’s icons are very small and you find it difficult to access them with either a stylus or your finger, use our Hold-to-zoom feature to get into those hard-to-reach places. When using a stylus, take note of where the target indicates your touch, so as to adjust accordingly if needed. If you think you would be happier with a different stylus than the one packaged with the Archer 2, you can check out our list of other recommended styluses here. Keep in mind that a stylus with a wider tip will actually perform better than a stylus with a finer tip, because the wider tip will activate more contact points on the touchscreen at a time. We are working to expand these Touch Profiles as well as to find the most ideal stylus for the Archer 2 (see how we’re testing different styluses here). When we chose to go with a capacitive touchscreen for the Archer 2, we knew it would mean a little more legwork on our end, but we have been very pleased with the results and have had a ton of positive feedback from our customers. While both capacitive and resistive touchscreens have pros and cons, a capacitive touchscreen sets the Archer 2 in a great position for future advancements and provides a heap of benefits that resistive touchscreens simply can’t offer. For more information, contact us or leave a comment below and we’ll be happy to help.